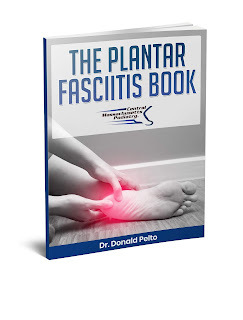 Dr. Pelto's Blog: I have had heel pain for almost 2 years. What can I do now? I have had heel pain for almost 2 years. What can I do now? Recently I had a patient come into the office in Worcester, Massachusetts and he had had heel pain for about two years. It was a man and his wife made him come in because she was tired of listening to him complain. Does that sound like anyone reading this blog article? When he came in, he had been in pain for a long time. His pain was more in the morning when he got up, it got better as he started working, but towards the end of the day he had more pain. It was most painful after he went to drive in his car and got out of car, or when he rested at the end of the day and then got up again. Those are the typical symptoms for plantar fasciitis. The way we treated him to get him better is we gave him a cortisone injection into the bottom of the heel that instantly took away the pain in about two minutes and he walked out pain free. We gave him a grid, which is a foam roller for the back of the calf, to reduce any of the adhesions in there, and we also had him scanned for a pair of custom orthotics to help stabilize the heel. That was the initial treatment. His plan was to see me back in three weeks to pick up the orthotics and come back a few more weeks later to see how things were going. If things aren't progressing we may do another cortisone injection to reduce the inflammation. We may order physical therapy or we may have to modify the orthotics if needed. So that’s my typical treatment protocol for people with heel pain.